We are happy to share with you the first collaborative edition of the Smart Mature Resilience newsletter to present the work of European-funded projects working towards the shared objective of building resilience in Europe. Smart Mature Resilience is a multi-disciplinary research project working for more resilient cities in Europe. Researchers and cities come together to enhance cities’ capacity to resist, absorb and recover from the hazardous effects of climate change. A Resilience Management Guideline and a set of practical tools are piloted in a core group of cities and shared with a wider group of cities, strengthening the nexus of Europe’s resilient cities. Cooperation between researchers and cities functions in a cycle of development, pilot trials and evaluation. Researchers work with the project cities to co-create and pilot tools which help cities assess their resilience maturity, identify and implement resilience building policies and cooperate with stakeholders. The participating cities of Donostia/San Sebastian, Glasgow, Kristiansand, Vejle, Riga, Bristol and Rome are at the heart of the Smart Mature Resilience project. As well as being active partners who contribute to creating the Resilience Management Guideline, they are also the testbeds where the project tools are tested. For more information on the SMR project’s goals, methods and partners, please visit www.smr-project.eu. The SMR Resilience Maturity Model is now available for CITIES to use. The Resilience Maturity Model comprises five maturity stages to guide cities through the optimal path of building resilience from a strategic approach. Each maturity stage contains a description of the objectives of that maturity stage, the stakeholders that need to be engaged in each stage in addition to a list of policies that should be developed in order to achieve the objectives defined in that maturity stage. A set of indicators have also been identified for monitoring and assessing the performance of these policies and justify their investments on resilience. DARWIN is developing resilience management guidelines which will improve responses to expected and unexpected natural and man-made disasters. The DARWIN Resilience Management Guidelines (DRMG) consist of a set of principles, methods, practices and strategies to aid organisations in the creation, assessment or improvement of their own guidelines. Based on resilience management concepts, the guidelines help the organisation in developing a critical view of its own crisis management activities. They are intended to complement existing guidelines, procedures and practices already present in an organisation. Expert input and feedback is key to ensuring the DRMGs are practical and relevant to resilience and crisis management practitioners. DARWIN is fostering a community who can contribute their expertise to the development of the DRMGs to ensure they are of use to practitioners. The DARWIN Community of Practitioners (DCoP) interacts with the DARWIN team on a regular basis in order to provide their reactions and advice on the development of the DRMG. DARWIN and the DCoP cooperate online at regular webinars, and face-to-face at annual DCoP workshops. At the most recent webinar, in November 2016 DARWIN partners presented the most recent developments of the DRMG; a set of concepts cards which assists organisations in assessing their resilience. The next DCoP meeting will take place from the 28th to the 29th of March in Sweden. The workshop will focus on case studies that will be used for evaluation and piloting of the DRMGs, and simulation and training materials for use of the DRMG. The workshop will also collect feedback on the guidelines, as well as seek perspectives on how they can be improved and optimised. If you would like to register for the workshop please contact: Johan.Hornwall@regionostergotland.se. The Risk Systemicity Questionnaire can assess a given CITY’s risk and can also assist in determining a CITY’s resilience maturity level. The RSQ is currently undergoing pilot implementation. Local stakeholders and citizens in the project core cities of Donostia, Kristiansand and Glasgow will participate in local workshops over the coming 2 months to use the RSQ and explore the causal loops affecting their social resilience in their local contexts. During testing of the tool, participants are presented with scenarios showing vicious cycles of risks, and assess how likely or unlikely different risk scenarios, which form vicious loops, were to occur in their cities. Based on the responses, upon completion of each of the two sections of the RSQ, participants are given their own overall risk score (an estimated risk level for the city) and an awareness score (the level of knowledge the city has about the possible risks). 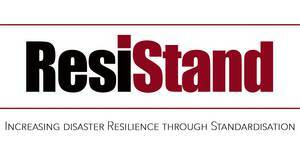 ResiStand is a two-year European Commission funded Coordination and Support Action (CSA, Grant agreement no. 700389) that aims to identify new ways to improve the crisis management and disaster resilience capabilities of the European Union and individual Member States through standardisation. The project started in May 2016 and will continue until April 2018. ResiStand will identify and analyse the drivers, constraints and expectations of three main stakeholder communities: standardisation organisations through the Standards Advisory Group, the End-User Community and the Supplier Community, consisting of researchers, industry and SMEs. ResiStand’s partners will work with these communities to identify standardisation gaps and to create a prioritised roadmap for new initiatives. To join one of these communities, please click here. ResiStand is inviting end-users/practitioners and representatives from industry, SMEs and research to provide their input via a series of workshops and questionnaires. The workshops focus on standardisation needs (for End-Users) and opportunities (for Suppliers from industry and research) in disaster resilience and take place in Helsinki (24 January 2017), Brussels (1 February 2017), Berlin (22 23 February 2017), and Rome (8 March 2017). As places are limited, please register as soon as possible. The ResiStand project has the possibility to reimburse travel costs within the limits of budget allocated and our legal provisions. Please click here to register for your preferred workshop. 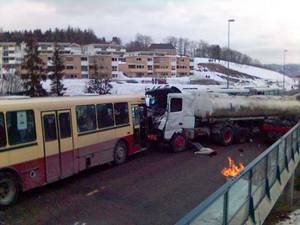 Cities across Europe are facing complex environmental, social and economic challenges as well as an increasing frequency and intensity of hazards and disasters. Cities need to work together to enhance Europe’s resilience as a whole: this requires standardized resilience management. SMR will conduct a European workshop on Resilience in Cities hosted by DIN in Berlin (Germany) on 4th April 2017. Cities will have the opportunity to network and discuss with each other problems, needs, different experiences and solutions – and of course benefit from a wealth of information.